Calabria is part of the 27% of the Italian territory deemed at desertification risk from the Plan of the National Area with Puglia, Sicilia and Sardegna. 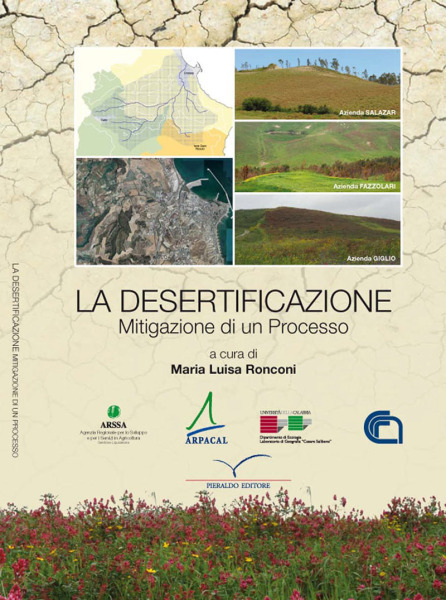 This project had a realization in an area called Valle dell’Esaro, close to Crotone, that is an area with high desertification risk. In fact, this area for its soil, climate, morphology characteristics and for the agricultural procedures represents the best site to test a model of good practices that it is possible to repeat in other areas. The main aim of the project, intervening in some of hilly inner areas of the coastal zone of the study area, was to bring back, during the experimentation years, the soil thickness such to support a good agriculture productivity and, consequently, a remediation and a new sustainable development of these areas. The experiment consisted of a replacement of the crop from hard wheat with a grass-pasture. In the conversion phase, a mix of fodder essences, ordinary in Calabria, constituted by grasses and legumes, was used. With the aim to have a good comparison and a validation of the methodology, the experiments were applied in 3 sites, in the central part of the Esaro area of Crotone, in particular in the Simeri and Tacina basins. The mitigation’s actions, conducted under the experimentation, during a 2-years time span, registered a feedback in the loose of the fertility of the soil, with an increase of organic substance and also an increase of productivity per hectare, with a possible future surplus in the cultural count, after many years. In conclusion, the project evidenced the need to increase the responsibility level of people toward the desertification process, with the aim to plane correct acts, to safeguard the territory, to have answers from the citizens, by means real measures and a better sensibility towards the environment and the sustainable use of resources. 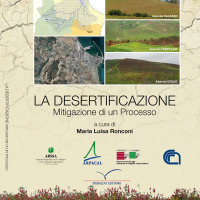 The main product was the book with the results of the project and the contributions of each partner: “La desertificazione. Mitigazione di un processo” Ed. Maria Luisa Ronconi – PIERALDO EDITORE. The results, even in a partially way and for each activity, were also presented from the project partners during Congresses, Conferences and Workshops. In conclusion, with the aim to increase the responsibility level of people toward the desertification process, it is necessary to start from the knowledge of the phenomenon. This can be reached with an approach based on the respect, the economy and the maximum restraint of the negative impacts on the soil resource (natural impacts and as results of the human activities on the territory). In this prospective, the result attended is a cultural changing and not only a change of cultivations. This regards the soil use, the cultivation techniques, the sustainable crops: it is important to choice a different way to do agriculture.